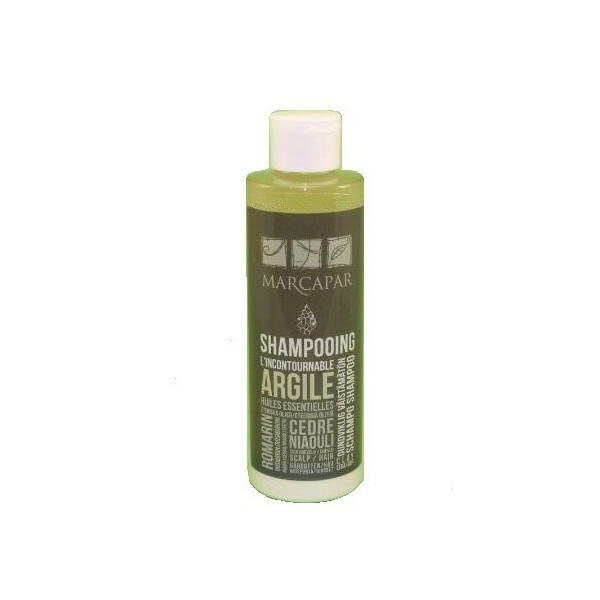 Natural organic shampoo with essential oils from the Marcapar range of products, hairdresser colorist using care and colorations 100% vegetable. 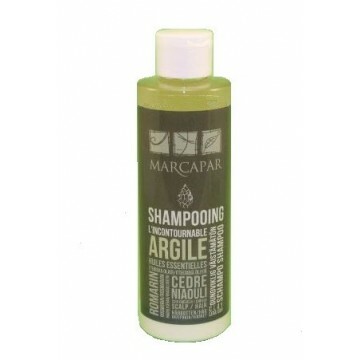 Specially formulated with an ultra gentle washing principle and plant extracts that respect the eco-system of the hair. Enriched with Kaolin (white clay), it gives it an absorbing power that acts directly on the seborrhea of the scalp and deeply cleanses it. Essential oils bring balance and care to the scalp and hair. Aqua; lauryl glucoside; cocamidopropyl Betaine; cocoglucoside and glycoldistearate and glycerin; Kaolin; Sodium chloride; Hydrolysed wheat protein; Sodium benzoate and potatium sorbate; benzyl alcohol; Guar hydroxypropyltrimonium chloride Rosmarinus officinalis; cedrus atlantica; Melaleuca leucadendron; Limonene; Linalool.